Here is another coloring option for Thanksgiving from Mandy. 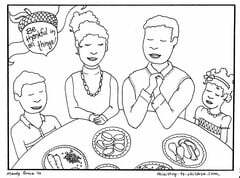 This coloring sheet shows a traditional family seated around a table enjoying the Thanksgiving meal. The text reads, “Be Thankful in all things.” It’s just one of our Thanksgiving craft ideas. Directions: This printable can be downloaded as a PDF file by clicking on the preview image to the right. We’ve also uploaded a higher resolution jpeg image for advanced users. This printable would be ideal for families to use together at home. It could also be included in a Thanksgiving Sunday School or Children’s church lesson. Like all our resources, this is 100% free to download and use in any ministry context. If you enjoy this resources, you can click here to let us know how you’re using it. Your comments are a great encouragement to us. 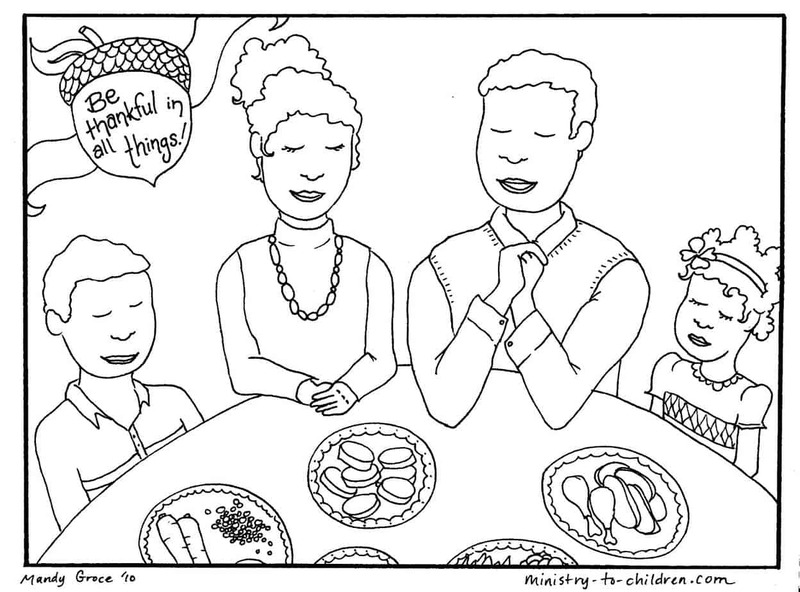 Here is more Thanksgiving coloring pages we’ve uploaded. These would be the perfect add on for nearly any lesson. Kids will add leaves to the tree with specific things they can give thanks about. It’s a great thanksgiving coloring activity. Need More Ideas? You can browse all our Thanksgiving ideas for children’s ministry or preview our Thanksgiving Sunday School lessons.